Attached extract from Government ICT standards. 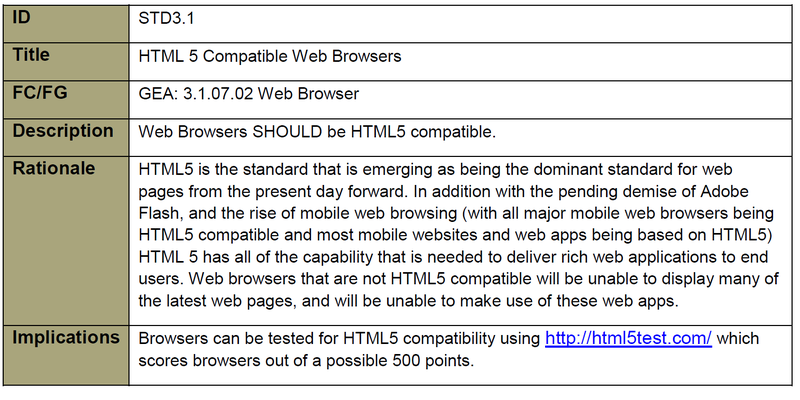 No sooner have we learned how to teach XHTML; it becomes clear we need to “upgrade” to HTML5. I guess that is why teaching IT is so exciting. This entry was posted in Uncategorized and tagged computer studies, HTML5, teaching, technology. Bookmark the permalink.